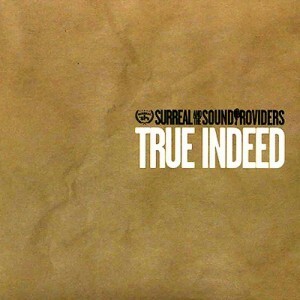 Surreal is the rapper, The Sound Providers, well they supply the sound (they’re the producers silly). The Sound Providers hail from Cali while Surreal is from FLA. The came together and BAM! 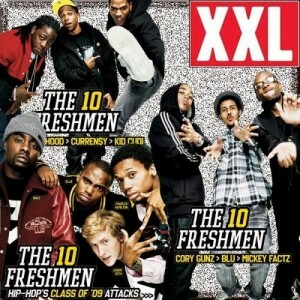 While not a review we will say that this is definately some laid back hip hop to chill to. Black Panther, Luke Cage, Falcon, Black Lightning and Black Goliath are in studio at a talk show taping. Though seated, sweaty faces, fidgeting fingers and shaky knees betray their nervousness. Why? Because they’re appearing on a segment called ‘Confronting the Black Superheroes of My Youth,’ and cartoonist Jerry Craft is cutting them no slack. He slams them on wack origins (ex-convict), pathetic abilities (faster than a jungle cat! 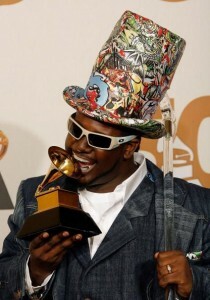 ), corny outfits (a helmet with an afro wig on top? really?) and excessive chest exposure, then sums up his real beef: They didn’t have any real powers, so young black kids wouldn’t think, even through their comic books, that they could grow up to wield any power either. As the flash animation on www.mamasboyz.com says, Jerry Craft has got issues, but he’s working them out with a pen and a pad. Craft is more well-known for Mama’s Boyz, a family-oriented comic strip that follows the lives of single mom Pauline Porter and her two sons, Yusuf and Tyrell. In a graphic novel world of compromised heroes and fiends, Mama’s Boyz can look deceptively soft. 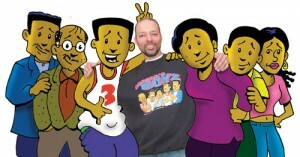 Characters have semi-colon eyes, sport high-top fades, and the humor is never as caustic or biting as, say, Boondocks. Jerry Craft says that’s all according to plan. The gentle-voiced 46-year-old, who has two young sons of his own, believes it takes more balls to try to help kids do the right thing than shock jaded Gen Xers. But the Porters aren’t the Cosbys: sometimes money is tight and Pauline worries about male role models for her sons. Craft is portraying a family that wasn’t dealt perfect cards, but is functional and successful anyway, and he feels that’s more important than reflecting his own two-parent background. Jerry’s first book, Mama’s Boyz: As American as Sweet Potato Pie, came out in ‘97. He tried to follow the Fat Albert school of comedy, where there’s a lesson in the humor without beating kids over the head with it. Craft spoofs Where’s Waldo on the book’s back cover, with Yusuf asking readers, “Can you tell how many people are watching me and my brother Tyrell as we try to shop?” The sketch is filled with undercover officers peeking over counters and around doors. The title? Where’s Security. It’s indicative of Craft’s work: a seven-year-old would just count the number of guards and laugh, but a 12-year-old might start making connections between their own profiling encounters. Don’t you hate it when you have slept? My boy Neil told me I should check out Count Bass D. For some strange reason, my brain associated that name with an 808 bass artist from the 90s. I ignored Neil’s request but he made me a copy of one of his cds anyway. That cd has been collecting dust until recently. 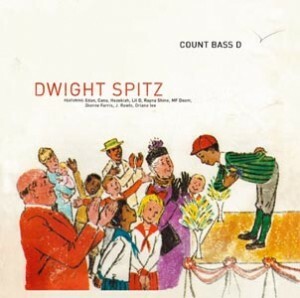 So while driving and fumbling for something different to listen to, I stumble across “Dwight Spitz” by the Count. I grudgingly give it a chance with my finger close by the eject button in case I hear anything sounding like Magic Mike. I was delightfully suprised at what came out of the speakers. Simple (I am not talking Lil Wayne simple – I mean they are simply delivered – unlike a Busdriver) rhymes over interesting beats – and I must focus on the beats. 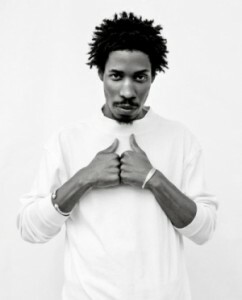 I really enjoy his sound. There is one track (“Take Control”) that I simply cannot shake. I have played it ad nauseum but I promise I will play it again as soon as I get in my car. I have no idea what it is all about – is he playing with my mind or controlling it? Then there is the track with Edan. 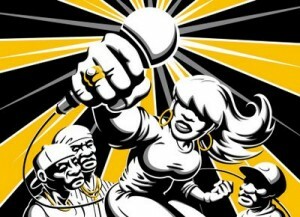 The subject matter reminds me of “Do this my way” by Gift of Gab and Lyrics Born. It is playful yet it vocalizes some profound stuff (accidentally or purposefully?). That sounds like something Jesus might have said prior to mentioning camels walking through the eyes of needles. Anyway, I slept. This album came out a long time ago. I slept hard. I will purchase this album and others from Count Bass D and I think you should do the same thing.